SunMaster Products is a family owned and operated business which was founded in 1971, and since that time, we have designed, expertly-crafted, and precision-installed stationary and retractable awnings, canopies, solar screens, blackout shades, drop roll shades, sunroom shades, skylight shades, and patio cover shades at affordable prices for homes, businesses, industrial facilities, and institutional clients in Del Mar and throughout San Diego County. But in addition to creating and installing exceptional quality sun shade products, at SunMaster, we can also provide expert fabric die cutting and production sewing services, and have done so for over 40 years. At SunMaster Products, Inc., we are committed to providing personalized customer service and superior quality products at competitive prices. Accordingly, our knowledgeable craftsmen always work closely with our valued Del Mar clients throughout all stages of their sun shading, fabric die cutting, or contract sewing projects, to ensure that they are performed to their exact specifications. And as a result of this emphasis on providing both excellent customer service and top quality products, Sunmaster has established an enviable professional reputation throughout our San Diego County service area. Call the sun shade product specialists at SunMaster Products today. We provide free onsite consultations and estimates to Del Mar, and all of San Diego County and the surrounding areas. We accept Visa, Mastercard, Discover Card, and American Express, and our office hours are Monday through Friday, from 8:30 am to 4:00 pm. 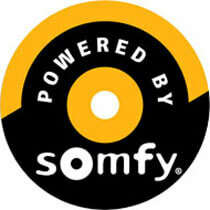 SunMaster Products, Inc., is licensed, bonded, and insured. At SunMaster, we custom-design, craft, and install fixed awnings and canopies for Del Mar homes and businesses, and have done so for tens of thousands of satisfied customers throughout San Diego County since we began our business in 1971. 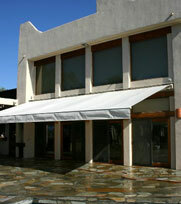 Trust the leader in professional awning and canopy design and installation. Call SunMaster Products today to schedule a free onsite estimate at your home, business, or industrial facility. Trust the awning experts. At SunMaster, we offer our retractable awnings in an extensive selection of fabric colors and types, and in either manual, crank-operated designs, or designs equipped with the latest motorized, automatic operating systems. Our exceptional quality retractable awnings come in a choice of framework metal types, and over 100 powdercoat color framework finish options. At SunMaster, our skilled craftsmen work closely with our valued clients to design the ideal retractable awning systems for their needs. Call us today from Del Mar. While sunrooms and skylights were created for the express purpose of letting natural light into residential and commercial structures, sometimes this additional natural light is not desirable. At SunMaster, we can design and install the ideal sunroom or skylight shade for your Del Mar home or business to remedy this issue, and can do so for a surprisingly affordable price. At SunMaster, our retractable interior and exterior solar screens and blackout shades are perfect for reducing the sun's glare and heat transfer through windows in Del Mar homes and businesses. They are available in a choice of colors, and in both solid and open weave fabrics – which will provide your home or business with effective sun protection while not obstructing a scenic view. Our exterior sun screens provide excellent protection against the sun's heat, preventing up to 97% of this heat from entering your home or business. In addition, when total light blockage is desired, we can install our blackout shades, providing complete room darkening for our valued clients. A custom-designed awning featuring your Del Mar business's name and logo makes a very bold statement, but also provides an inviting look to potential patrons. At SunMaster, we can custom-design, hand-craft, and precision-install the ideal awning system for your commercial or industrial property, in an endless selection of fabric colors, types, and over 100 powder coat frame finish colors, providing your patrons and employees with protection from the elements, while at the same time, accenting your business property with a stylish architectural feature. Call us today. We accept all major credit cards, and offer free onsite estimates to all of San Diego County. 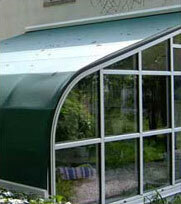 Is your retractable or fixed awning or canopy looking a little weathered? At SunMaster, we can expertly recover all types and sizes of existing awnings and canopies, granting them a whole new lifespan and saving our Del Mar clients up to 60 percent of the cost of having to completely replace their awning or canopy with a new one. 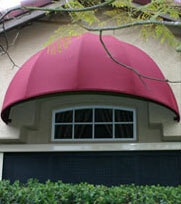 We can also refinish awning framework, extending its longevity and making it look brand new. Call SunMaster Products today. We offer free onsite estimates to all of San Diego County and the surrounding areas. 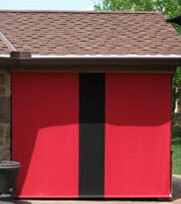 Drop roll curtains are an excellent way to make your Del Mar home or business deck or patio more comfortable. They protect your family, friends, patrons, and employees against sun, wind, and rain, and also add additional privacy. At SunMaster, our drop roll curtains are available in a wide selection of fabric types and colors, so there is certain to be a fabric choice which will complement the decor of your home or business property perfectly. SunMaster Products, Inc., offers professional die cutting services to Del Mar businesses and manufacturers. We can use a die that you provide, or we can assist you in custom-designing one for your project and have it custom-fabricated. Then, we can use this new die to expertly execute your fabric die cutting project. In addition to fabric die cutting, SunMaster also performs full service production sewing services for Del Mar businesses and manufacturers. At SunMaster, we are capable of completing both light duty and heavy duty assembly, and can work with a wide range of textiles and other materials. 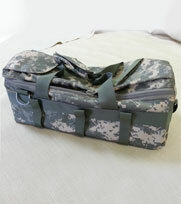 We have no minimum requirement on the number of items per sewing contract, and also offer packing and shipping services upon project completion. At SunMaster, our retractable patio shades feature one of the most innovative operating systems available, and are offered in the entire line of Sunbrella fabrics. Sunbrella is an acknowledged leader in the outdoor textile industry, and stands behind its exceptionally durable fabrics with a 10 year warranty. Call us today for a free estimate on a patio cover shade for your Del Mar home or business. Call the professionals today at SunMaster for high quality sun shading products, expert fabric die cutting, and production sewing services at competitive prices. We service Del Mar and all of San Diego County, and are licensed, bonded, and insured.